History | Friends of Fort Caswell Rifle Range, Inc.
Last week, a page from the 1920-21 Fort Benning yearbook The Doughboy was posted which explained the quest to find the origins of the word doughboy, a term referring to US Army infantry. The yearbook had many samples of this writing style and contained oodles of comics. Some would describe the yearbook as “a hoot.” Many of the documents from this period that were used to write the WWI Profiles were written this way. The 1936 version of the yearbook had returned to a more formal writing style, although some comics were included. To reiterate, three possible origins of doughboy as US Army Infantry were presented, and the term was traced back to the Revolutionary War. “Dough ball” was used to describe a certain type of button worn on the Infantry overcoats in the early parts of the nineteenth century. The Cavalrymen started it, making fun of infantry because they have to plod along through the mud. And one additional theory is presented by The History Channel. 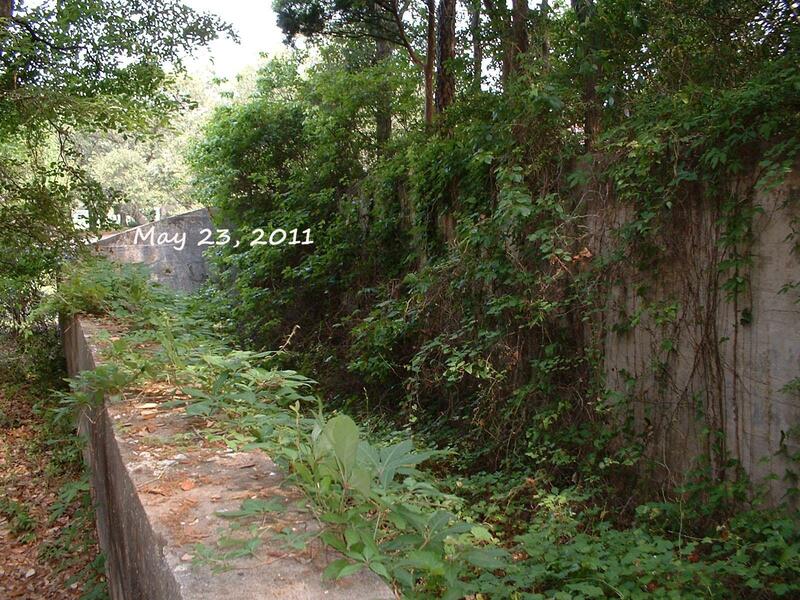 Please contact Friends of Fort Caswell Rifle Range with any additional documented theories. 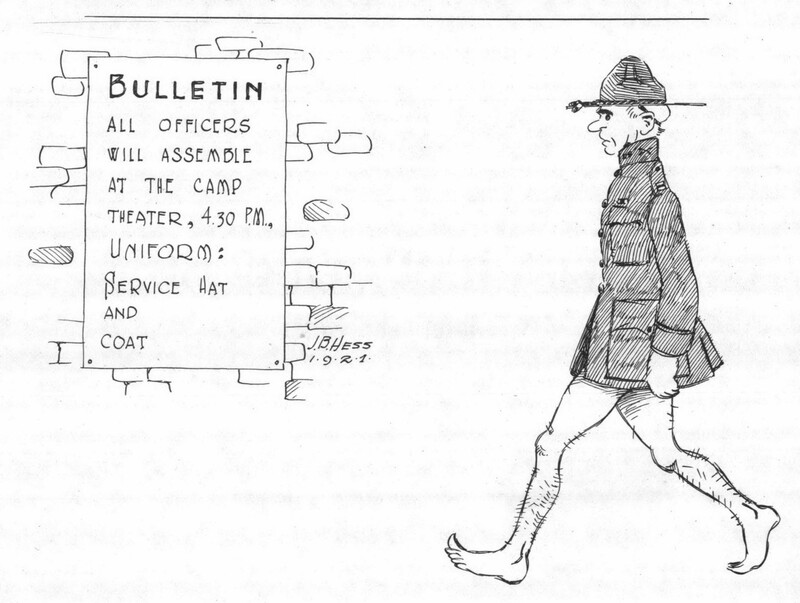 Copied from the Camp Benning 1920-21 yearbook. Source listed below. “Who, what and why is a ‘doughboy’?” Well, he is an American Infantryman, of course, as distinguished from all other wearers of Uncle Sam’s uniform, and about the best two-fisted and two-legged fighting man of which there is any record anywhere, and he gets his name because – because, why, er, come to think of it, how does he get the name? And so it was all along the line. About all our investigation established was that, as regards this question, there are two major schools of thought, one of which adheres to the origin stated by Sergeant Hill just quoted, while the other contends that “doughboy” is a corruption of the words, “dough ball” used to describe a certain type of button worn on the Infantry overcoats in the early parts of the nineteenth century. Still another tenable theory comes from the use of pipe-clay (familiarly known as “dough”) to whiten the trouser stripes of the dress uniform. And here we are forced to rest, leaving the solution of the question to some master mind of the future, if indeed there is a solution. May it not be that, like Topsy, the term was not born, but “jes growed”? Regardless of how the sobriquet originated or the idea it may at one time have been intended to convey, the title “doughboy” is Infantry property and belongs of right to no other branch, all of which have their own popular nicknames. We are proud of it, and justly resent its misuse. In these days of machinery, when our brethren of the Field Artillery, the Engineers, the Air Service and other branches call to their aid the genius of the gasoline engine to move them from place to place, there is inspiration in the realization that we “doughboys” are not dependent upon any thing but the equipment we were born with, and that while we may churn up a lot of mud in the process, we GET THERE just the same. If we are a little slower than some, why we’ll just stick around a little longer, that’s all. 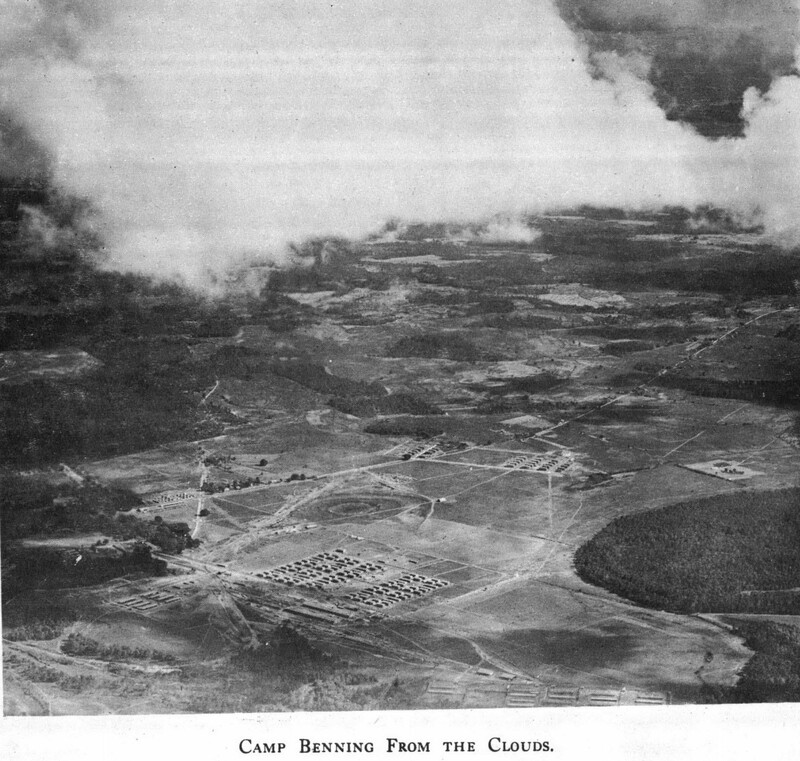 The WWI Profile of Sgt Forney Mintz referenced the yearbooks from Camp Benning, GA, (now Fort Benning) home of the US Army Infantry School. 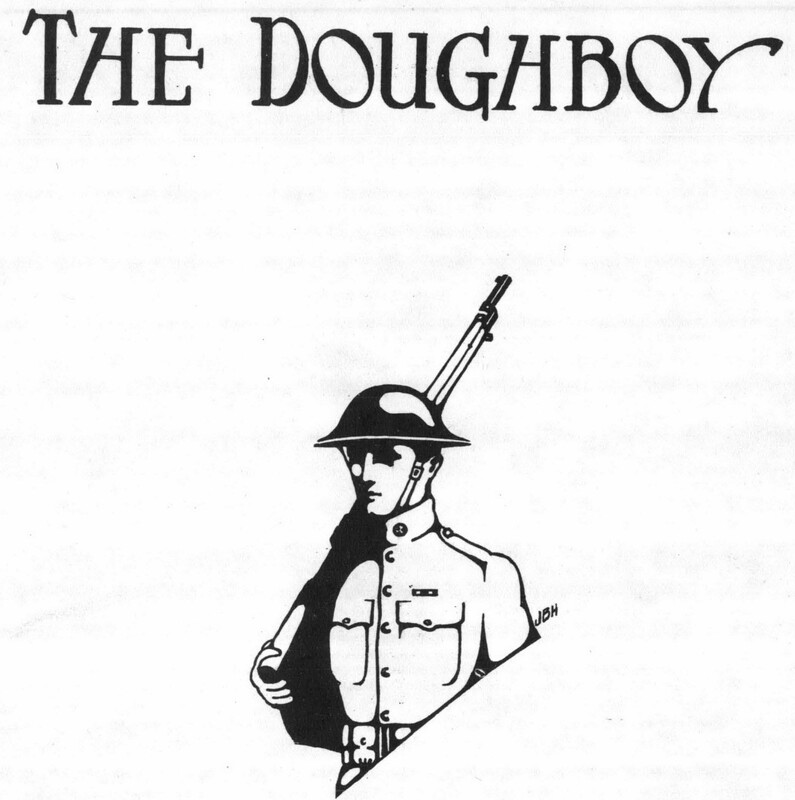 The yearbook is named “The Doughboy.” The text and photos above were taken from the 1920-21 yearbook. Comments Off on Why “Doughboy”? September 29, 1918: North Carolina’s deadliest day of the war. 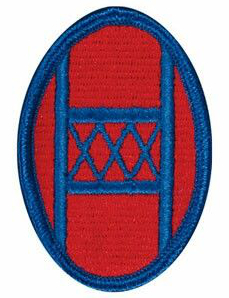 The 30th Division “Old Hickory,” was organized in October 1917 with men primarily from North Carolina, South Carolina and Tennessee. 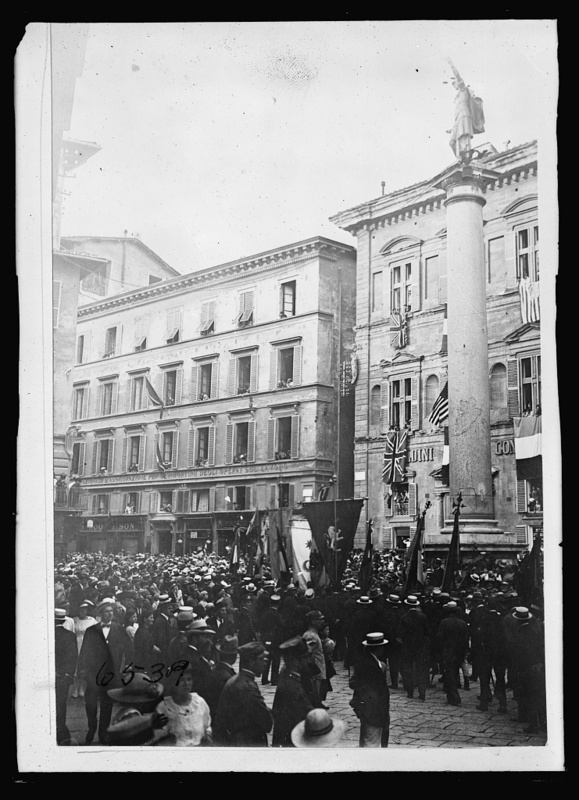 The Division was the first to breach the infamous Hindenburg Line on September 29, 1918. 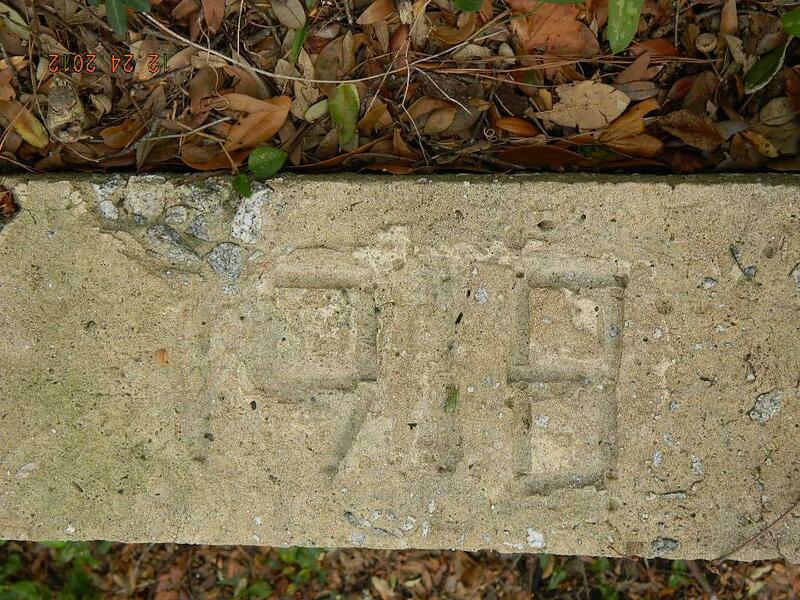 September 29, 1918 was not only North Carolina’s deadliest day of the war, but was also Brunswick County’s deadliest. The Hindenburg Line was a defensive position in France built by the Germans in 1916. 90 miles long with up to six defensive lines, containing fields of heavy barbed wire woven so thick as to resemble a mass of vines and briars up to 100 yards deep, it seemed impenetrable. 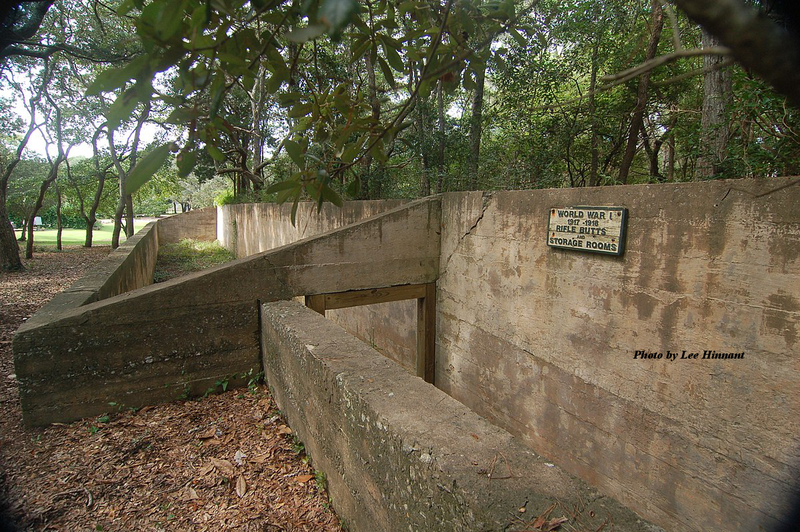 A large subterranean system of tunnels with hidden exits and entrances formed a safe method for communication and reinforcement for the Germans. 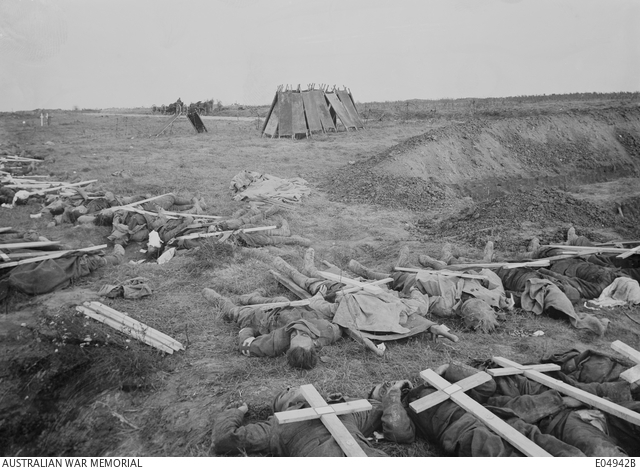 Over the entire area were machine guns without number, not only the probable approaches, but every inch of front was covered by one or more guns. The Germans believed the position could not be taken, and even when lost, prisoners would not believe it to be possible, and laughed at those who would tell them. It was the turning point of the war. At 5:50am on September 29, 1918, the men from the 30th Division assaulted this terrible line on a front of 3,000 yards, captured the whole Hindenburg system, then advanced still further and took the tunnel system with all the German troops hidden in it and next captured the towns of Bellicourt, Nouroy, Riqueval, Carriere, Etricourt, the Guillaine Ferme (farm) and Ferme de Riqueval. Pvt Smith died on October 17 of wounds sustained on September 29. He was posthumously awarded the Distinguished Service Cross and British Military Medal. 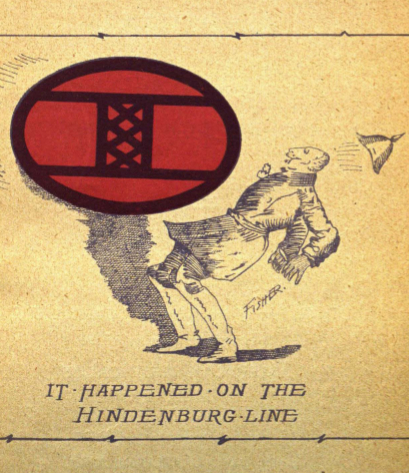 The NC DNCR blog commemorated the breaking of the Hindenburg Line the week of September 29, 2018. This included a List of North Carolinians who died on September 29, 1918. 241 North Carolinians were confirmed as dying that day. 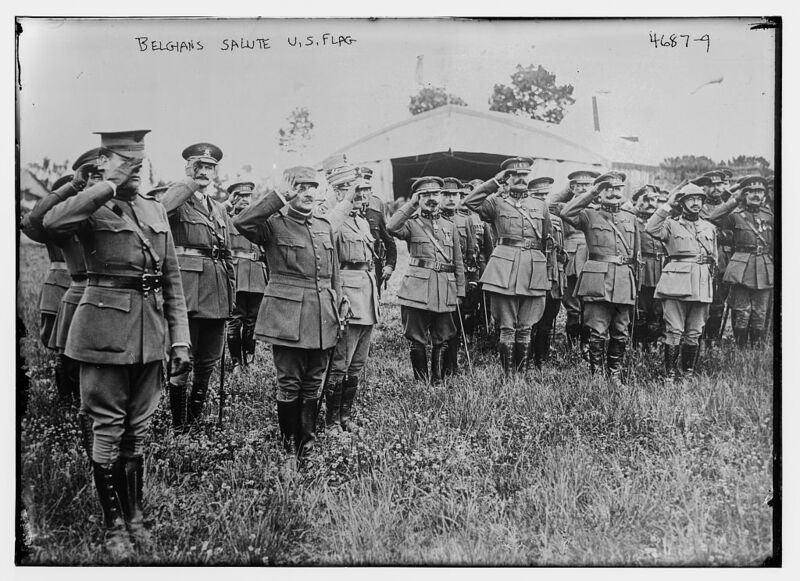 On this anniversary of our independence, the officers and men of the American Expeditionary Forces on the battlefields of France renew their pledges of fealty and devotion to our cause and country. The resolve of our forefathers that all men and all people should be free is their resolve. It is quickened by sympathy for an invaded people of kindred souls and the war challenge of an arrogant enemy. It is fortified by the united support of the American people. 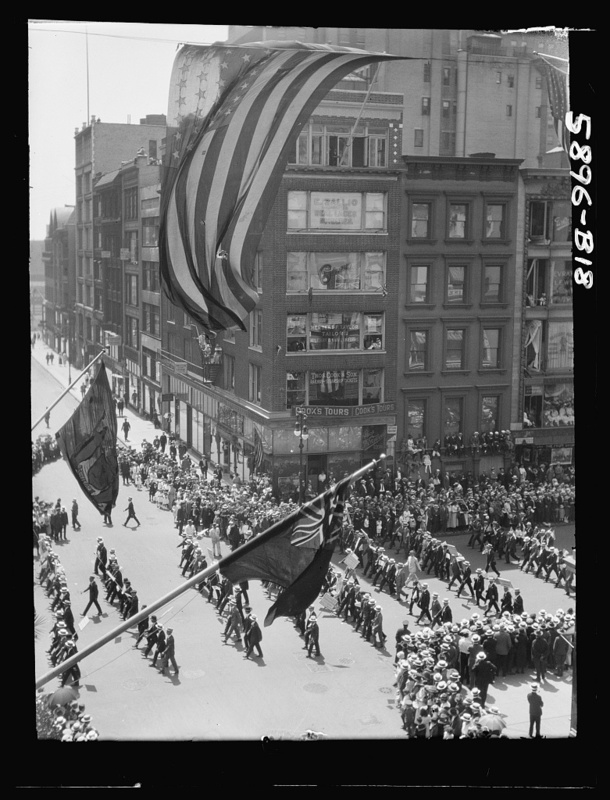 The American entrance into the war was celebrated by Allied powers on July 4, 1918. 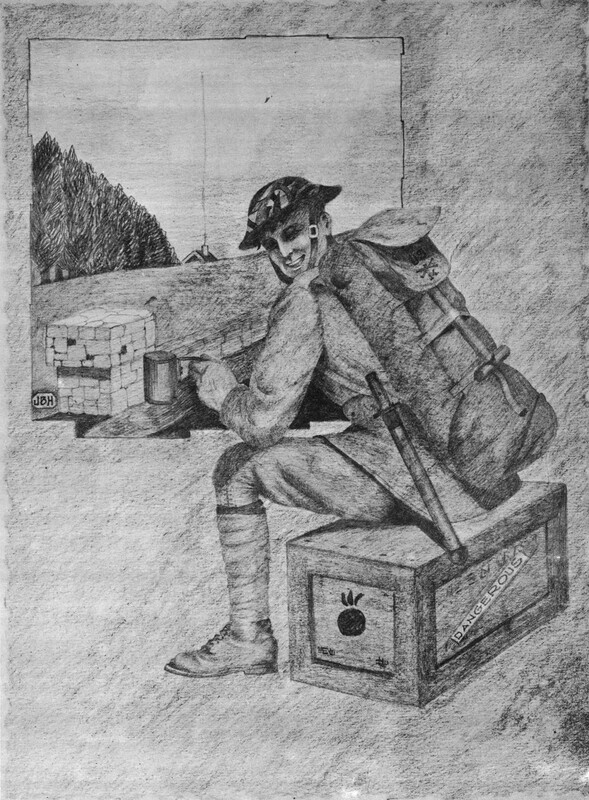 The drawing below used for The Soldier’s Record represents the cooperation among the Allies. Click here for the original and to zoom in further. 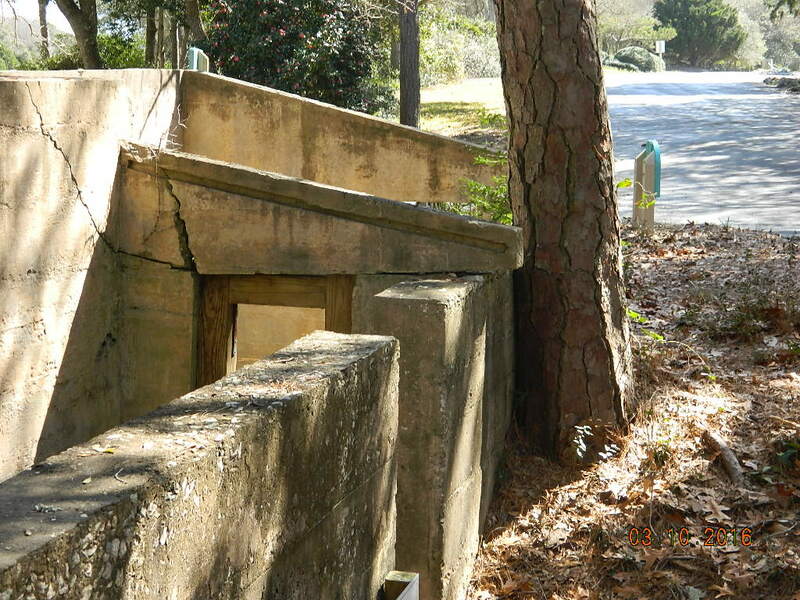 In April, we honored and recognized the Centennial of the US entry into World War I by holding a Commemoration Ceremony at the Fort Caswell Rifle Range alongside the Brunswick Town Chapter of the National Society of the Daughters of the American Revolution. 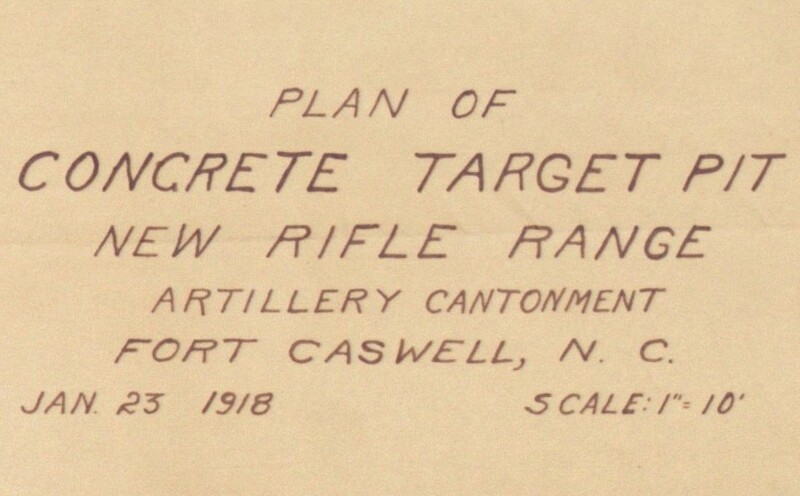 As we prepare for the Centennial of the End of World War I on November 11, 1918, we will also recognize the centennial of the Fort Caswell Rifle Range, which was approved and built in 1918. These US War Department documents including blueprints can be found by clicking the HISTORY selection at the top of the website. 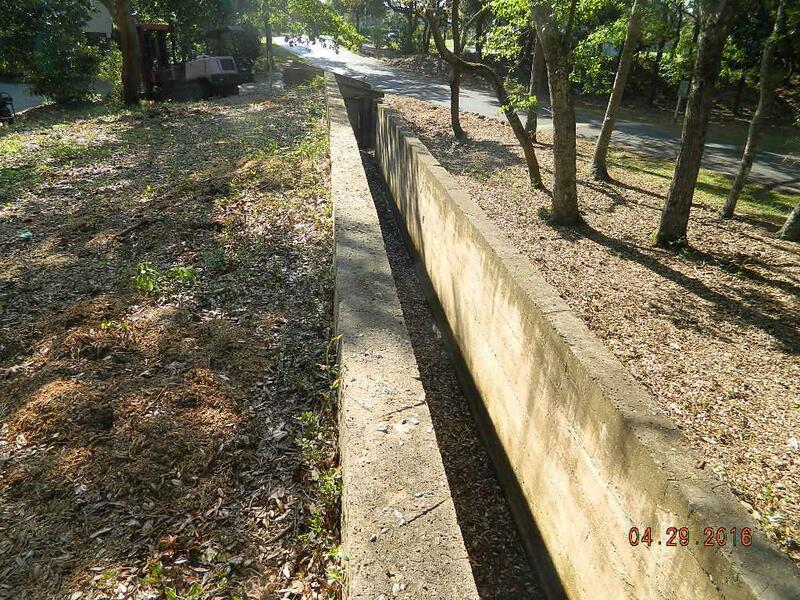 Please consider making a donation to save this unique piece of history. Click here or the green “How to make a donation” button at the top right of this website. 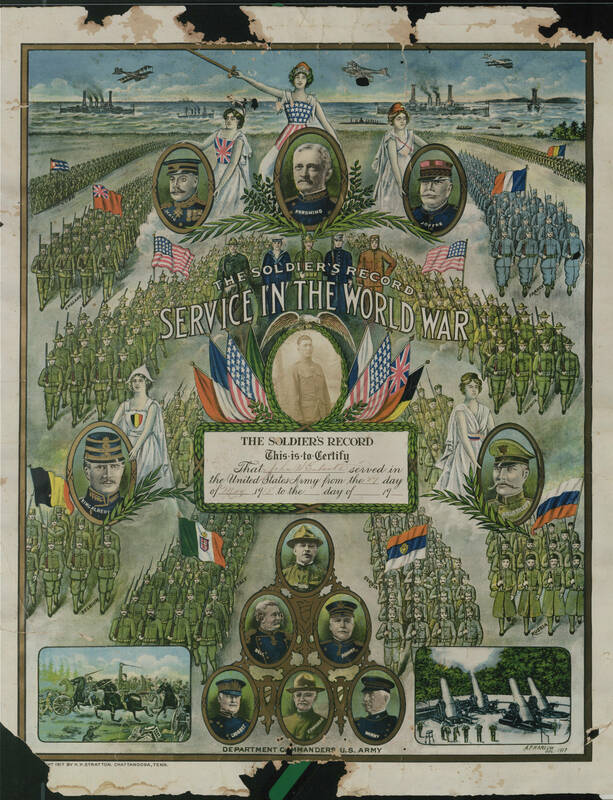 Have you seen our World War I Wall of Honor? 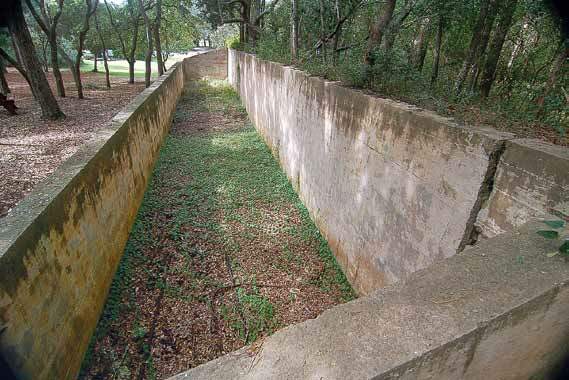 Last year, the Friends of Fort Caswell Rifle Range began a project to commemorate the rifle pit’s centennial year in 2018. 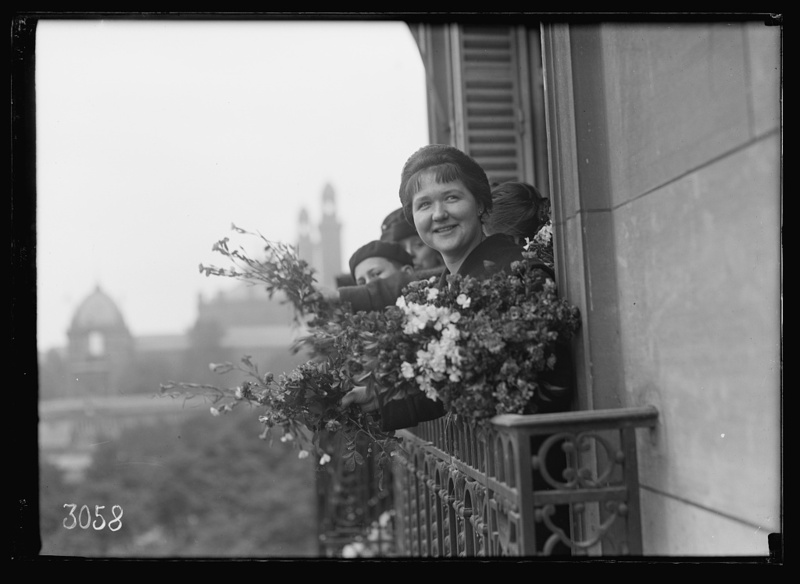 Requests were made locally and beyond for photographs and biographies of family members who served in World War I. These were assembled on a physical Wall of Honor that is displayed during special occasions such as the Kentucky Derby Day fundraiser at the Caswell Dunes Clubhouse. You can see the Wall of Honor behind Norm Sprinthall, who is shown here wearing his father’s WWI medals. But did you know there is a virtual World War I Wall of Honor right on the website? 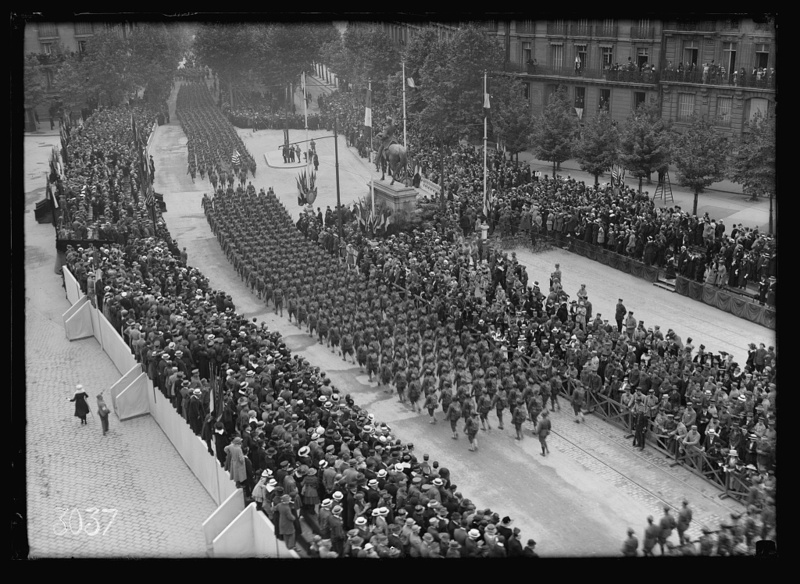 It’s accessible in the WWI section of the website or using the link above. If you’re interested in submitting your own photographs, please use the link for details. The World War I Wall of Honor will be displayed again at this year’s Kentucky Derby Day fundraiser on May 6, 2017. 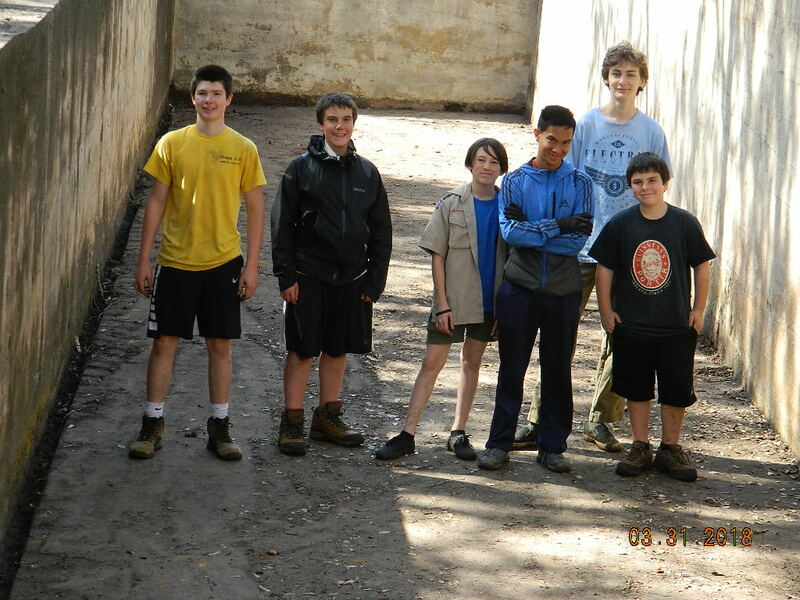 Comments Off on Have you seen our World War I Wall of Honor? How much did the rifle range cost in 1918? 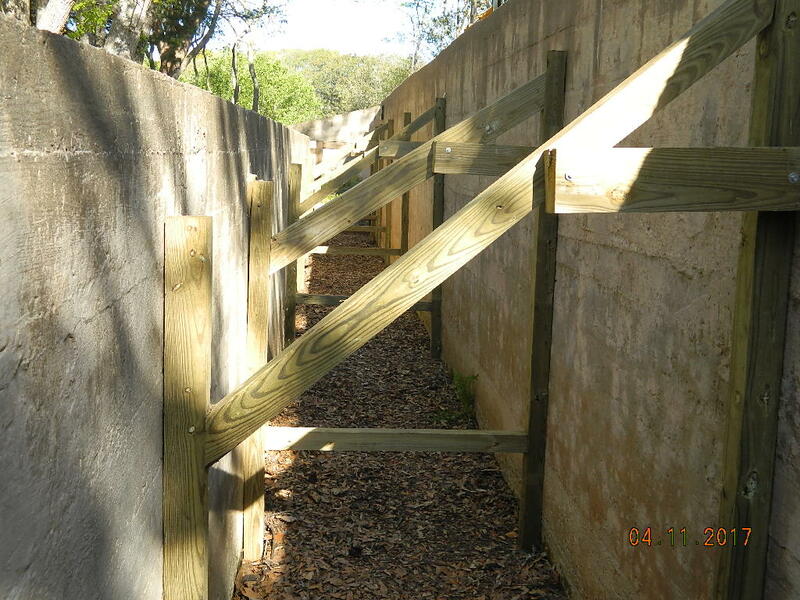 Comments Off on How much did the rifle range cost in 1918?